Larkspur's Doug Archer, retired Deputy Fire Chief and Fire Marshal, Larkspur FD Historian, more information coming. 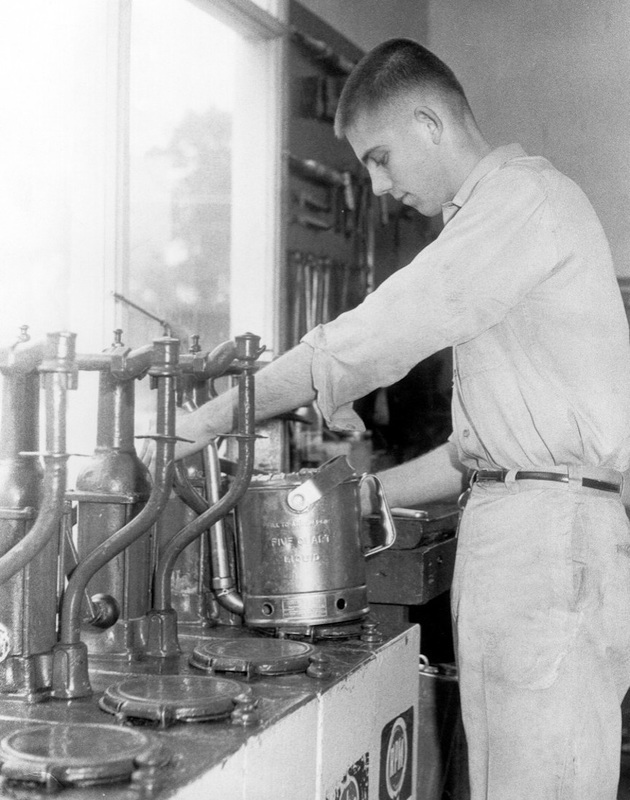 A young Doug Archer filling oil cans while working at his father's Standard Oil Gas Station in downtown Larkspur. 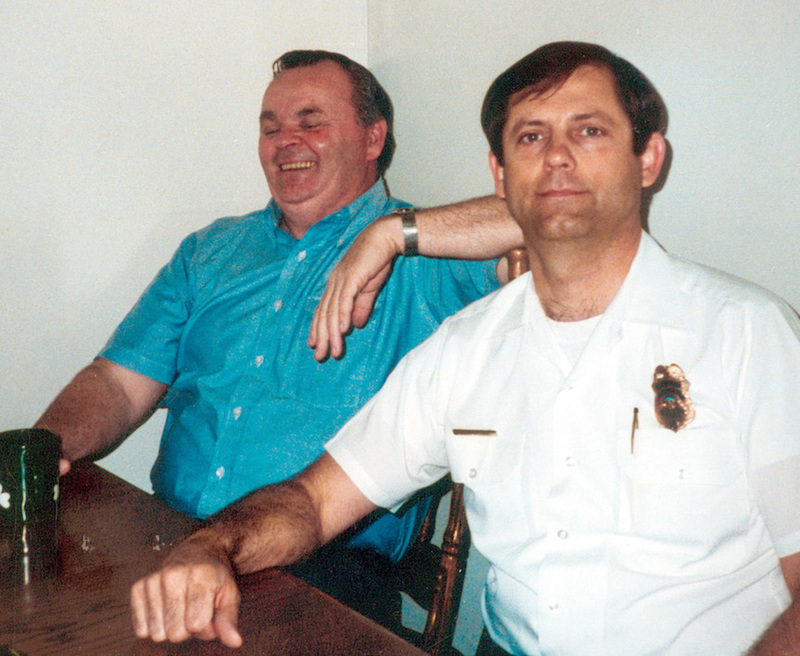 Larkspur Chief Bill Lellis and Deputy Chief Doug Archer at the kitchen table in the 1980's at Larkspur Station 1, now named Larkspur Station 15.